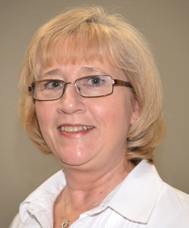 Lois is a Licensed Massage Therapist who has been assisting Dr. Blatman with patient care for more than a decade. She will often greet you in the waiting room, answer your questions when you call, and work with your pharmacy to make sure your medicines and doses are correct as prescribed. She uses her intuitive abilities to customize her body work to each person’s needs. If you’ve recently been injured and are eager to get back in the game, prolotherapy (or regenerative injection therapy) is a way to kick healing into high gear. This treatment is great for sports injuries, strains, sprains, and repetitive motion injuries such as tendinitis. Prolotherapy uses a solution that includes two substances. A local anesthetic minimizes pain from the injection and provides immediate relief for the injury, while dextrose jump-starts the body’s healing program to repair and regenerate the damaged tissue. Prolotherapy can also help people with arthritis by promoting healing of worn cartilage and tightening ligaments around the arthritic joint.